I find painting chaos units (be it fantasy or 40k) a fair challenge. Usually the chaos beasts and mutated units that have fused flesh/metal/bone present the greatest challenge to hobbyists due to the amount of blending required for a believable model on the battlefield. Add to this the flamboyant colors most warbands in the codex use (think Emperor’s Children here) it is easy to be overwhelmed by the color palette. One mistake and you have a pink excuse of a dreadnought. No thanks. 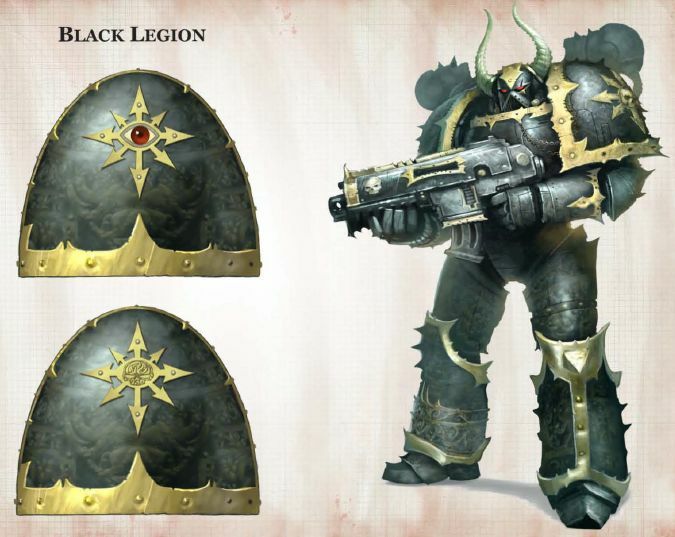 The Black Legion is widely considered as the poster boys of the Chaos Space Marines, similar to Ultramarines from the Space Marines army, and thus have attracted some negative attention from hobbyists: most find the color scheme bland and the back story uninteresting. I however think that no other color can be more intimidating than black. So, the scheme for my CSM army was set. The shoulderpad will have an Eye of Horus instead. For painting reference I checked the GW sale page for the CSM models and saw some grey-color line highlights for edges. Even when I tried to dull the highlight a bit some area washes, the grey really pops in the edges which I don’t really like. So from now on I plan to try to blend this line towards the surface attached to the edge. Besides this I can’t really complain about how the model turned out, it worked OK for the first of many marine models. One thing I have to mention is that compared to the large surfaces on the ork models, these minis have much smaller surfaces to work with, so I can’t simply rush like I did this time. The eyes are not convincing at all. I wanted a red lens that has a shine effect on the edge. Totally botched it, I blame the bad brushes. The power-fist (or claw, I’m not sure) is totally off. I wanted it to be a little different from all the black on the armor and tried to give it some flair. Big mistake. 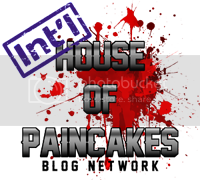 Will probably change it to black with grey highlights. For the golds I used GW series metallic base and layer paints, but I’m not convinced. A recent test with the Vallejo Liquid Gold series paints shows that this is the way to go. More on this in another post. The left shoulderpad will have an Eye of Horus in yellow. I know it’s not fitting to mix the Black Legion with Sons of Horus iconography but I really, really like that eye model. When I checked the model again for damage I saw some colors have dulled considerably after 2 months. Not sure how to prevent this, but I am thinking it’s due to lack of varnish as a finisher. Here are a few parting WIP shots of the squad. The heavy bolter unit is my first attempt at pinning and it worked alright. After the assembly of the heavy support unit and the squad leader I immediately regretted my decision: it’s become infinitely more difficult to reach recesses. I’ll have to learn to be patient and paint in sub-assemblies it seems. Lots of detail on this model. Will be a pain to reach recesses. Good effort, they look quality. Thanks for dropping by! Keep checking for regular updates!